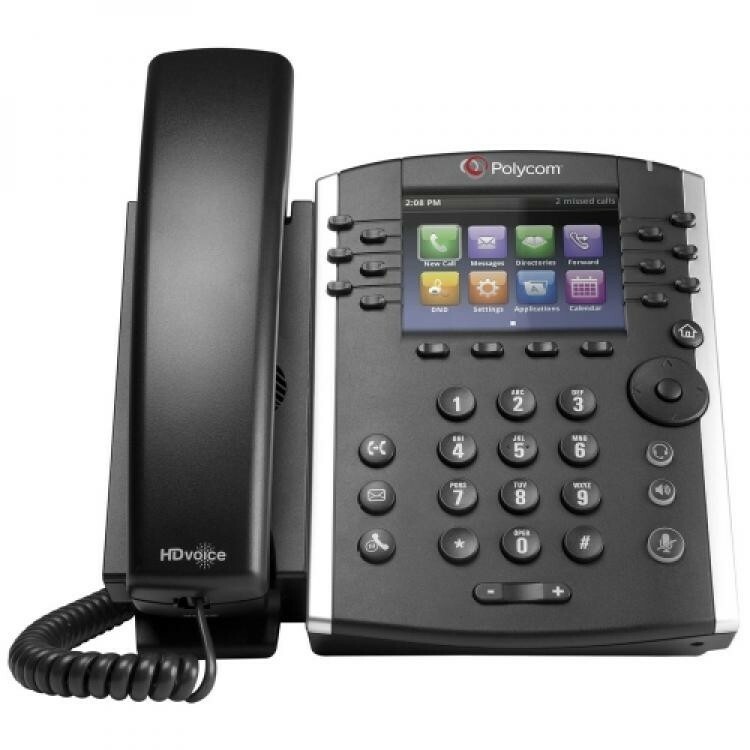 The Polycom® VVX® 400 Series are expandable colour business media phones that deliver crystal clear communications, enhanced collaboration and personal productivity. The VVX 400 Series brings high-quality, cost-effective solutions to front-line staff handling a moderate volume of calls through advanced unified communications (UC) telephony features. The intuitive colour user interface of the VVX 400 Series makes navigation easy and requires minimal training. Give your front-line staff the best experience with this high-quality, 12-line colour business media phone. The VVX 400 Series improves personal productivity by complementing the workplace applications on the computer. Users can view and manage their Microsoft Exchange Calendars, receive meeting reminders and alerts, access the corporate directory and instant messaging/presence status right on their phone display, even while waiting for their PC to boot. They can also extend their PC’s desktop to include the VVX 400 Series screen for mouse/keyboard navigation and interaction. The VVX 400 Series provides personalized information at a glance, through built-in Web applications and custom backgrounds. The VVX 400 Series also comes ready for future expansion modules as your users’ needs and business grows.